Editor’s Note: We have often cited articles or research from Bicycle Quarterly in these pages, and most recently we’ve been following, with particular interest, their studies on tire pressure. 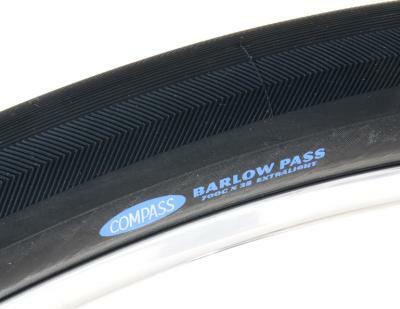 Coach Fred Matheny has referenced that research in his recent reviews of the new, wider tires from Compass Bicycles, a BQ sister company. In the back-and-forth communications about those reviews, Bicycle Quarterly Editor Jan Heine offered to distill their tire pressure research and findings into an article specifically for RBR. We happily accepted Jan’s gracious offer. The result follows. I think you’ll agree with Jan’s contention that the research may well revolutionize tires – and will certainly change the outmoded views we hold about them, not to mention the amount of air we put in them. In recent years, there has been a trend toward wider tires and lower tire pressures. We now hear from many sources that wider tires can roll faster than narrower ones, which contradicts what most of us used to believe. In the past, cyclists thought that higher tire pressures decreased the tires’ rolling resistance. If it all looks confusing, that’s because it’s not as simple as we thought. Rolling resistance does vary slightly with tire pressure, but it’s not linear, and it depends on the surface. On smooth surfaces like the one used in the tests shown above, moderately high tire pressure – say 100-110 psi for a 25 mm tire – actually rolls slower than either a lower pressure (80 psi) or a higher pressure (130 psi). On rough surfaces, higher pressures roll significantly slower. The variations are much smaller and hard to predict – they depend on the tire as much as on the road surface – so the take-home message is that tire pressure doesn’t matter enough to worry about it. Inflate your tires enough that they don’t collapse when you corner at speed, and you have found the optimum pressure for your tires. It’s that simple. A detailed explanation of why this happens is beyond the scope of this article, but basically, on a bike, the resistance of tires consists of two types of energy losses. One is from deformation of the tire, and higher pressures reduce that deformation. The second loss occurs from the vibrations of the bike, and those increase with higher pressures. The two effects roughly cancel each other, which is why tire pressure doesn’t have a big effect on rolling resistance. In the past, researchers focused only on the tire deformation and overlooked the losses due to vibrations, hence the belief that higher pressures rolled faster. The real revolution brought about by this new research is not how you use your pump, but rather how tires are constructed. It’s not an overstatement that it has revolutionized our understanding of tires. 1) Beef up the casing, which makes the tire less supple and slower. 2) Lower the pressure, which we thought made the tire slower. No matter which route you took, the science of the day predicted that your wider tire would be slower. It was a Catch-22, and for the best performance, you stuck with narrow tires, where you could have a supple casing and high pressure at the same time. You can see where this is heading. If lower pressures don’t make tires slower, then you can create wide tires with supple casings. You run them at lower pressures, and you don’t give up any performance on smooth roads. On rough roads, you actually gain speed, because the tire (and you) bounce less. And on all roads, you are more comfortable. Instead of a Catch-22, you have a win-win-win situation. It took a while for this research to become accepted, but once the professional cycling teams started testing tires with power meters on the road, they found that the wider tires, run at lower pressures, were as fast, or faster, than the narrower tires they had been running. Add to that the better cornering grip – more rubber on the road, less bouncing that can break traction – and it didn’t take long for the pros to go from 23 to 25 mm tires. 23 to 25 mm may not sound like much – less than 10% wider. But when you look at the air volume – the area of a circle goes up with the square of the radius – you get 18% more air volume. That is significant. On smooth roads, 25s are about as fast you get – our research indicates that 28s and 32s aren’t slower, but neither are they any faster (that includes air resistance at speeds of about 18 mph). That means that if your bike can handle wider tires, you can get more comfort and better cornering with wider tires, without losing any speed. On the average backroad, wider tires make your cycling much more enjoyable: the significant additional air volume they allow makes for a more comfortable ride, and they better handle the bumps and related vibrations, in effect smoothing out the ride. Additional good news is that when they are made right, these wider tires aren’t any slower than narrower ones. To get the most benefit out of these lower pressures, you need supple tires. A stiff sidewall takes more energy to flex, so the tire will be slower. It also will vibrate more, so you lose more energy that way, too. You could call it a “lose-lose” situation. The second most important thing our research found was that tires can make a larger difference in your bike’s performance than any other component. At moderately high speeds of 18-20 mph, a supple tire can make you 8-10% faster than a stiffer, but otherwise similar tire. That is far more than the difference a set of aero wheels makes (1-2%). Professional racers have known this all along: As much as their equipment has changed over time, they’ve always ridden supple tires. They usually ride hand-made tubulars. There also are very fast-rolling racing clincher tires, but if you rode on rougher backroads and needed wider tires, you were out of luck: Most wide tires were either intended for city bikes and have stiff casings and puncture-proof belts, or they were designed for high pressures, which also requires stiff casings. Either way, these tires were slow and uncomfortable. When we saw the results of our studies on tire performance, we realized that wide tires could be as fast as narrow ones, while offering more comfort and the ability to tackle rougher surfaces and even gravel. We decided to take matters into our own hands to create wide tires that roll as fast as narrow ones. We worked with Panaracer and developed tires that use the same casings as high-end tubulars, but in much wider widths, and as clincher tires. We started Compass Bicycles, a sister company to Bicycle Quarterly, to develop components based on the findings of our research, including Compass tires, which are available in widths between 26 and 42 mm, and in several wheel sizes. RBR’s Coach Fred Matheny has reviewed both our Stampede Pass 700 x 32 Tires and our Barlow Pass Extralight 700 x 38 Tires. Tire pressure does not significantly affect your bike’s rolling resistance, but the casing construction of your tires does. This means that you can ride lower pressures without going slower, and that wide tires are no slower than narrow ones – as long as they have similar casings. The fastest tires have supple casings that consume less energy when they flex, and transmit fewer vibrations, creating a win-win situation. These tires roll super-fast no matter at what pressure you run them. 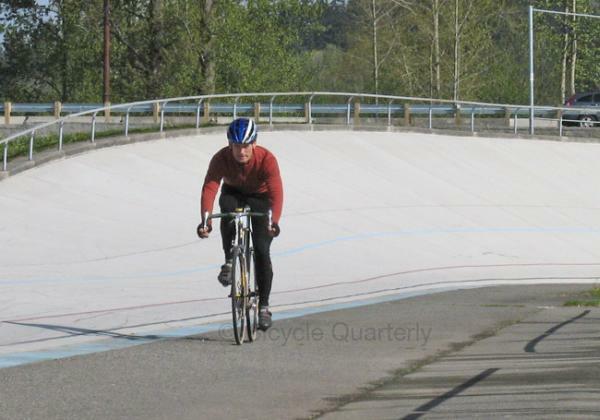 Jan Heine is the editor of Bicycle Quarterly, a magazine about the culture, technology and history of cycling. After racing for a decade, he now enjoys randonneuring and cycling off the beaten path. His blog is at www.janheine.wordpress.com. Very interesting. I use 28mm tires on my vintage 1974 Raleigh International and have always loved the comfort and noticed my average speed for my usual route seemed to vary little from rides on 23 or 25mm tires on my other bikes. And these 28mm tires are not even particularly supple or light. Of interest is that it is pretty hard to find racing frames that can accommodate 28mm tires let alone 32mm or wider. It will be interesting to see whether the industry will make changes to allow clearance for wider tires on high end racing frames. So is a tire with a tpi of 160 more supple than tpi of 80? We switched from Gaterskin 28’s to Compass 35’s on our tandem and could feel a speed an comfort difference. We notice we coast faster than the other tandems along the flats. We were rolling along so well that I think we sold a bunch of Compass tires after our last group ride. Which tire brands have the supple casings? More to Barry Buschow’s point, how is tire suppleness quantified? Without some sort of measure (even semi-quantitative) how can a consumer know which tires are more supple than others? For example, look at ratings on automotive tires for traction (A, B, C) or treadwear (a numeric scale). Could a scale be developed for “suppleness” (or stiffness)? Even if not perfect, it would help the consumer make a decision. A good source of information on this subject can be found at http://www.bicyclerollingresistance.com where numerous tire models, widths, and pressures have been measured for watts of rolling resistance. It’s data doesn’t answer all questions since there are also aerodynamics of tire to rim width, tire height, variations in body weight, and rolling surface to be considered. But it should give the reader a bit more to factor in to the overall formula of what’s involved. The problem with this site is that it only looks at hysteresis losses – the flexing of casing and tread rubber. It ignores the vibration losses that Jan noted are so important. Two issues that are not mentioned in the article that I would like to see addressed are the effect of tire weight on climbing speed and effort, and the ability of the tire to resist punctures and sidewalk cuts. I agree. A 28 may theoretically be as fast as a 25 BUT if the 28 weighs more, that has to be a factor in climbing speed. And climbing is what cycling is all about for me. Ok, that and the coffee stop! The effect of tire weight on climbing speed is easily calculated. Within a small range, a 1 lb. (454) gm weight increase results in 0.1 mph slower climbing speed on a 6% grade. You can do the math on the impact of 20 grams (weight difference between tire sizes). This seems like an over simplification on the impact of extra weight of wider tires. The weight is all at the outside of the wheel where there is a substantial effect on energy required to keep the wheel moving. 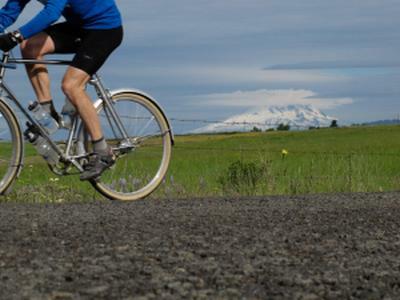 Every pedal stroke is a micro surge of power that turns the wheels and keeps you moving. Try adding an extra pound to your wheels and see if the effect is only .1 mph! So how does rider weight factor into the equation? Is 80PSI under a 135 lb rider the same as 80PSI under a 205 lb rider? That’s my question too. I weigh 215lbs and it seems higher tire pressure is faster. Are there any studies that include the weight of a rider in the variables? Does it stand to reason that tubeless tires (less supple) are slower than tubed tires? I rum 23s. I pump the tire to 115 psi, and then wait till the pressure drops to about 90 psi before rep umping. Works for me. Speed difference than any tire. I do notice I do not have to watch for every little hole out stop peddling when I normally would. Excellent ride. Like a new bike. So flat tires are faster than aired up tires. Got it. The old school of thought was that the more TPI a tire has the more subtle it becomes as well as usually the lighter it gets due to more usage of cotton or silk in the casing, and thinner threads, but as you go up in TPI your flat protection goes down. I’m not sure if modern tires have changed any of that old school of thought. The amount of weight that will be exerted on the tires does play a crucial role in how much pressure you will put on a tire; for example, on my touring bike when not loaded and just my body weight and bike weigh calculated using 32 wide tires I use 45 psi front and 70 rear, but if I add 55 pounds of gear for touring I now have to raise that psi to 60 F and 90 R. This same thing is true of body weight goes up. The problem with all this pressure stuff is that it is very confusing to try to get it exactly 100% correct, with all the factors like weight and road conditions etc, this sort of stuff can drive one crazy! So I just keep it simple and go by the old 15% tire deflection calculations and not stress over if I’m 100% correct. Road conditions can vary on a ride from smooth to rough, I’m not about to change my pressure whenever that happens!! Also newer wide rims do not need as much pressure as the older style rims, add on top of that some tire manufactures models require more air than others; again more confusion to the equation that can drive a person crazy. …and we don’t need any more crazy cyclists!